When Cassina is blown up in a bomb attack, life as she knows it is over. Except that she doesn’t die. Cassina becomes a para-spirit – a presence that can live in other people’s minds. Nobody knows she’s there, but she can see their thoughts and feel their emotions. She just can’t do a thing to change them.Being in the minds of her grieving parents is not good. Being in mad Aunt Lou’s brain is an eye-opener. But Akim’s head – that’s a dangerous place. Because Cassina knows he’s going to do something terrible, worse even than before. And it’s up to her to stop him – but how? Tender, thoughtful and idealistic, this is a tough but immensely worthwhile read. 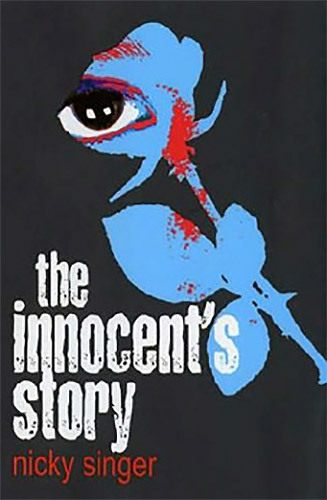 The sheer imaginative audacity of The Innocent’s Story propels it beyond anything expected. Everyone remembers where they were when the Twin Towers fell. I was in the park with my young daughter when news began to filter through and back home in front of the TV in time to see the second of the Towers fall. I remember exactly what passed through my mind at that moment: Who could hate us this much and me not know? and What could I do or give to these people so they never want to do this again? There’s hubris in the first thought and danger in the second, but that’s the truth of what I felt in that frozen-in-time moment. A year on we thought we knew who had ‘done it’ but as for the trigger behind the anger, the thing that would drive one human being to think it was appropriate to blow up another, that remained a mystery to me. And I wanted to know. But how could I get inside the head of a suicide bomber? My rather radical solution was The Innocent’s Story.